The One Hundred Third United States Congress was a meeting of the legislative branch of the United States federal government, composed of the United States Senate and the United States House of Representatives. It met in Washington, D.C. from January 3, 1993, to January 3, 1995, during the final weeks of George H. W. Bush's presidency and the first two years of Bill Clinton's presidency. The apportionment of seats in the House of Representatives was based on the Twenty-first Census of the United States in 1990. Both chambers had a Democratic majority. This is the last Congress which the Democratic Party had both house majorities in the 20th Century. January 20, 1993: Bill Clinton became President of the United States. February 26, 1993: World Trade Center bombing: In New York City, a van bomb parked below the North Tower of the World Trade Center exploded, killing 6 and injuring over 1,000. February 28, 1993: Waco siege: Bureau of Alcohol, Tobacco and Firearms agents raided the Branch Davidian compound in Waco, Texas, with a warrant to arrest leader David Koresh on federal firearms violations. Four agents and 5 Davidians died in the raid. April 19, 1993: Waco siege: The 51-day standoff ended with a fire that killed 76 people, including Koresh. October 3, 1993: Operation Gothic Serpent: In Mogadishu, Somalia, two U.S. Army UH-60 Blackhawks were shot down and the operation left over 1000 Somalis dead and over 73 Americans WIA, 19 KIA, and 1 captured. January 17, 1994: 1994 Northridge earthquake: A magnitude 6.7 quake hit the San Fernando Valley of Los Angeles at 4:31 a.m., killing 72 and leaving 26,029 homeless. February 22, 1994: Aldrich Ames and his wife were arrested for spying for the Soviet Union. February 28, 1994: 4 United States fighter jets shot down 4 Serbian jets over Bosnia and Herzegovina for violating Operation Deny Flight and its no-fly zone. September 19, 1994: Operation Uphold Democracy: American troops staged a bloodless invasion of Haiti to restore the elected President to power. October 1, 1994: Palau achieved independence and became an associated state under the Compact of Free Association. November 8, 1994: Republican Revolution: The Republican Party won control of both the House and the Senate in midterm congressional elections, the first time in 40 years the Republicans secured control of both houses of Congress. Senators are popularly elected statewide every two years, with one-third beginning new six-year terms with each Congress, In this Congress, Class 1 meant their term ended with this Congress, requiring reelection in 1994; Class 2 meant their term began in the last Congress, requiring reelection in 1996; and Class 3 meant their term began in this Congress, requiring reelection in 1998. (1) Lloyd Bentsen (D) Resigned January 20, 1993, to become United States Secretary of the Treasury. 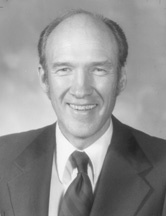 (1) Bob Krueger (D) Interim appointee lost special election June 6, 1993. 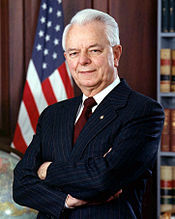 (2) David L. Boren (D) Resigned November 15, 1994, to become President of the University of Oklahoma. (2) Harlan Mathews (D) Interim appointee did not seek election. "Videos of House of Representatives Sessions for the 103rd Congress from www.C-SPAN.org". "Videos of Senate Sessions for the 103rd Congress from www.C-SPAN.org". "Videos of Committees from the House and Senate for the 103rd Congress from www.C-SPAN.org". House of Representatives Session Calendar for the 103rd Congress (PDF). Congressional Pictorial Directory for the 103rd Congress. Official Congressional Directory for the 103rd Congress.